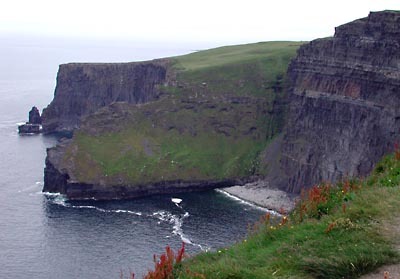 After breakfast, we left Ennis on the N85 heading towards Ennistymon and the Cliffs of Moher. 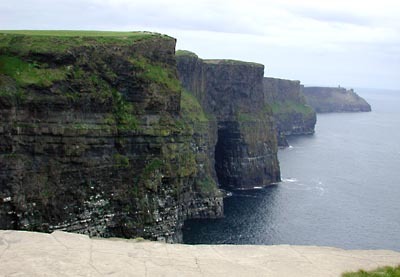 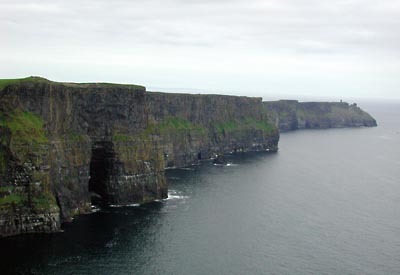 The Cliffs of Moher Visitor Centre was our first stop of the day. 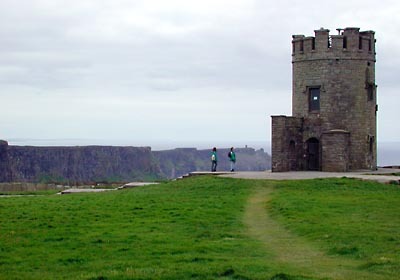 Since it was still early in the morning, there were only few tour busses and the viewing area around O’Brien’s Tower was not yet overrun with tourists. 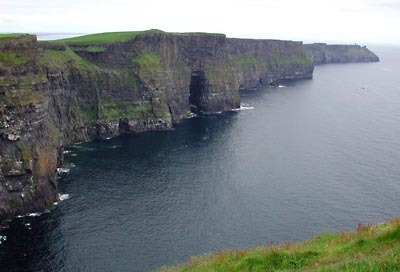 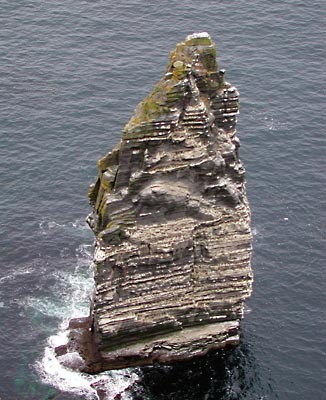 This rock in the sea, viewed from the cliff top, is itself over 70 meters (230 feet) high. 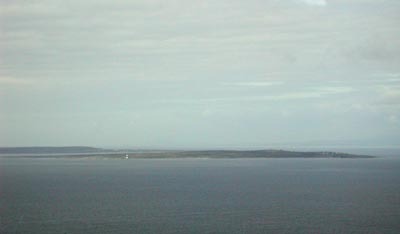 About 15 kilometers offshore, you could make out the Aran Islands.